A man in Texas is being hospitalized after he was stabbed multiple times by a young girl he attempted to sexually assault while she was sleeping. this week after being discharged from the hospital, where he was being treated for multiple stab wounds. According to documents, Hernandez was in town for the holidays and staying with the victim’s family, when he decided to crawl into her bed late at night. The girl told police that she and her sister were sleeping, but she woke up in the middle of the night to the feeling of somebody getting in bed and pressing up against her. Once she turned around and realized it was Hernandez, the girl said he tried to pretend like he was asleep. 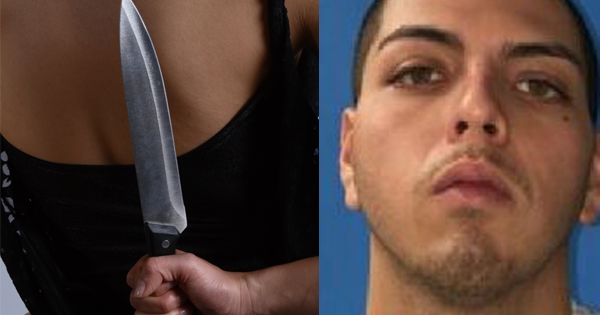 When the girl was touched a final time, she got out of bed to grab a knife, according to KFOX14. According to court documents, the girl went to a restroom in the house, scared and in total disbelief over what had just happened. When she returned to the bedroom, Hernandez was laying behind her sister. Terrified that Hernandez was sexually abusing her sister, the girl reportedly took out the kitchen knife and stabbed him multiple times. Although the sister was interviewed by police later, she hesitated when asked if she’d been sexually abused. However, a trauma nurse said she definitely had been.